Long-run quality at short-run economy. In the past there were two choices. 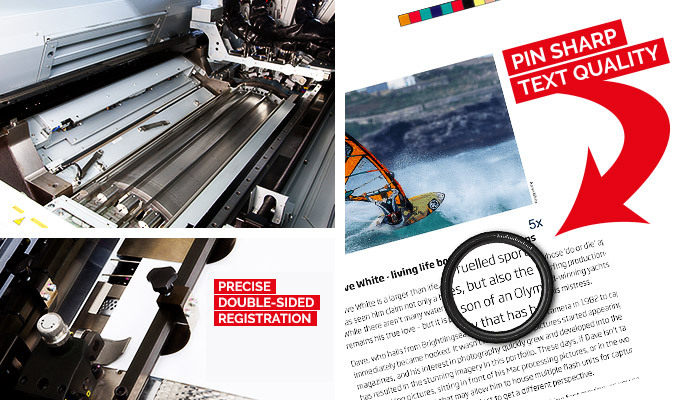 Litho print – high quality but tough to justify on shorter runs – or digital print, great for short runs at short notice on tight budgets, but always a quality compromise compared to Litho. 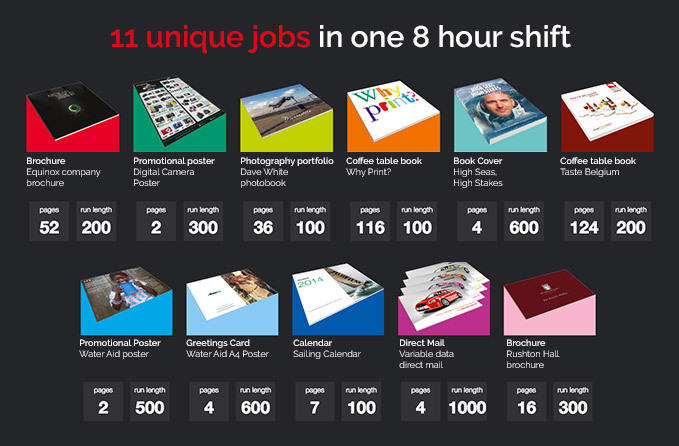 But now there’s Jetpress High Definition Digital Print – a phenomenal new technology that delivers astounding quality on short run print jobs. This new, high-definition, short-run suitable technique means no compromise on quality and no budget-busting bills. In fact, we think the quality is better than any other digital press we’ve seen on the market anywhere in the world. Designed and built by Fujifilm (who know a thing or two about imaging) it harnesses ink-jet technology to commercial printing. It prints up to B2 on standard litho paper, it uses eco-friendly water-based inks, and it produces results on short runs that are equal to litho and better than anything digital that has gone before. And because it is digital, it can handle variable data on the fly – everything that can be printed can be personalised – even complex items like brochures. Perfect when you want flexibility – and quality without the quantity. Double sided variable data print - personalised text or images effortlessly. Known for high quality, our Litho work takes the art of printing to new levels. For a price on any job from business cards to brochures - use our efficient on-line service.